Okay so I actually first saw a poster advertisement for this play on the wall of a local sushi train I often frequent for lunch and my first thought was just a nonchalant "Oh, Andrew Scott's doing another play..." I'm probably one of the few people living in the UK who isn't a fan of Sherlock (shock horror, I know... 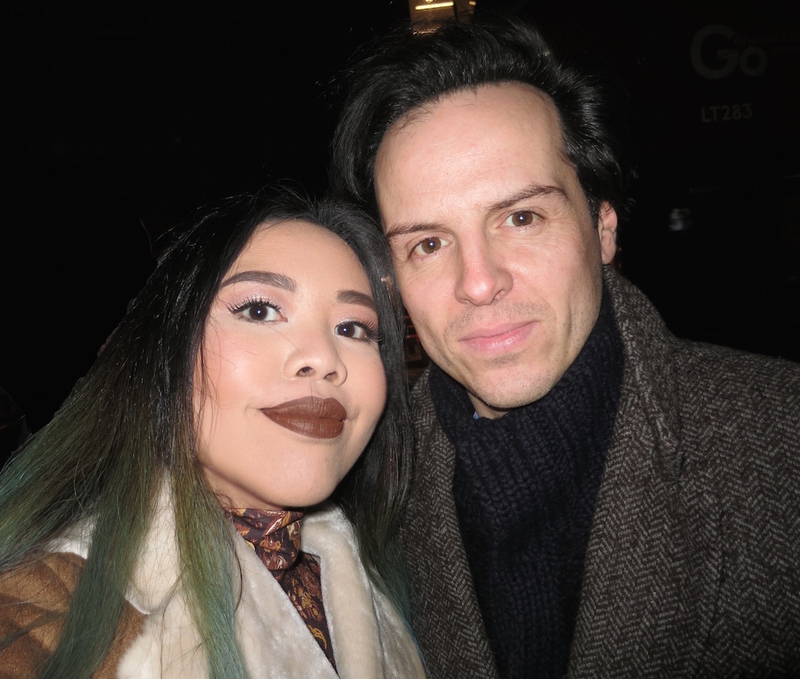 I just can't get into it), and wasn't initially interested in going to see The Dazzle despite actually being quite impressed by Andrew Scott's last performance in Birdland. Fast forward a few weeks and the show began its run, I was suddenly in the mood to watch a play (maybe suddenly isn't quite the right word as this happens pretty often) and there were far and few productions on at that moment that I hadn't already seen. After doing a little research online, I found out that it's being held at a brand new theatre venue that's part of Soho Theatre's management, called Found 111. I booked tickets and before I knew it I was walking down Charing Cross Road, trying to locate the venue before the show. Found 111 doesn't look like much from the outside (in fact it doesn't look like anything, it's just a single door in between other buildings) but you actually have to climb a couple flights of stairs upwards where it opens up to a cozy bar area that then leads into the studio room. There's no elevated stage of any kind so the play is executed using floor space in the middle of the room which on the whole isn't very big, I think it seats just over 100 people. Speaking of seating, nothing is allocated so it's first come first served and what was kind of quirky was that they seemed to have just bunged in all the random chairs they could find in varying shapes and sizes and lined them together in rows to form the audience. Upon choosing my seat I inconspicuously stole a cushion from a vacant chair to line the seemingly unforgiving wooden stool I ended up on. I shift my eyes to the middle of the room, where there's an old piano, an antique looking sofa and not much else. 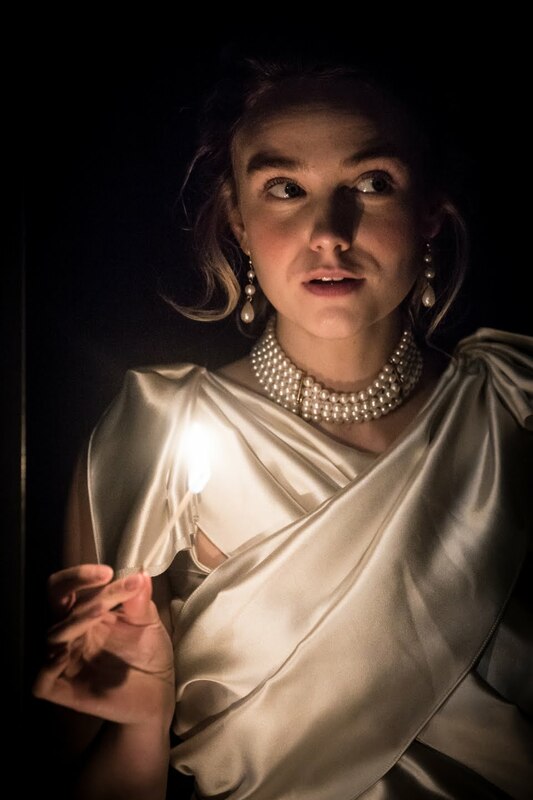 The first act is set in New York in 1905 and as the lights dim and all three of the actors enter the room in a flurry of waistcoats and pearls, what unfolds in the next two and a half hours was probably some of the best acting I have ever witnessed at the theatre. 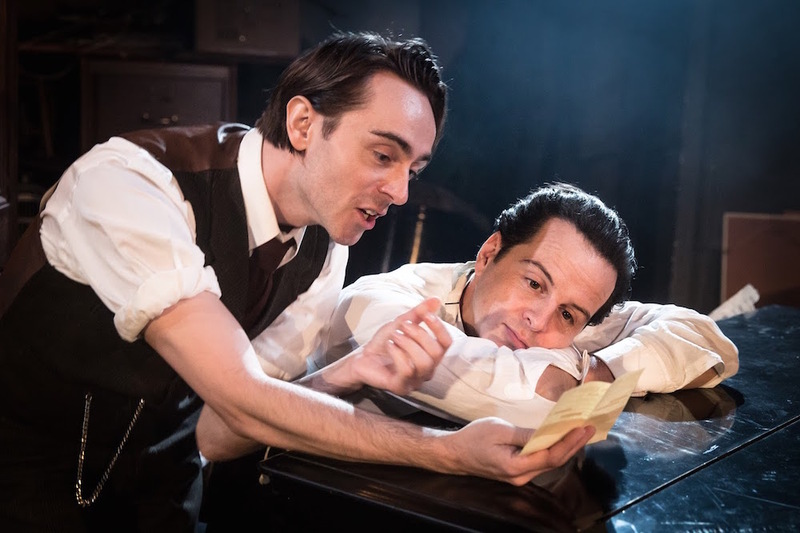 We are first introduced to Langley Collyer (Andrew Scott) and initial impressions are that he's an extremely gifted and successful pianist. 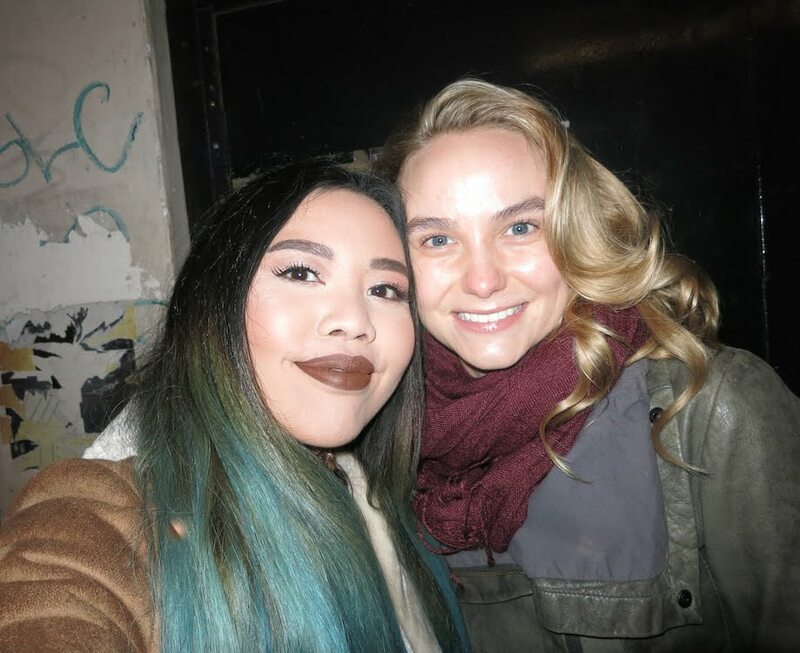 Even the bubbly and beautiful Milly Ashmore (Joanna Vanderham) seems quite taken with him. 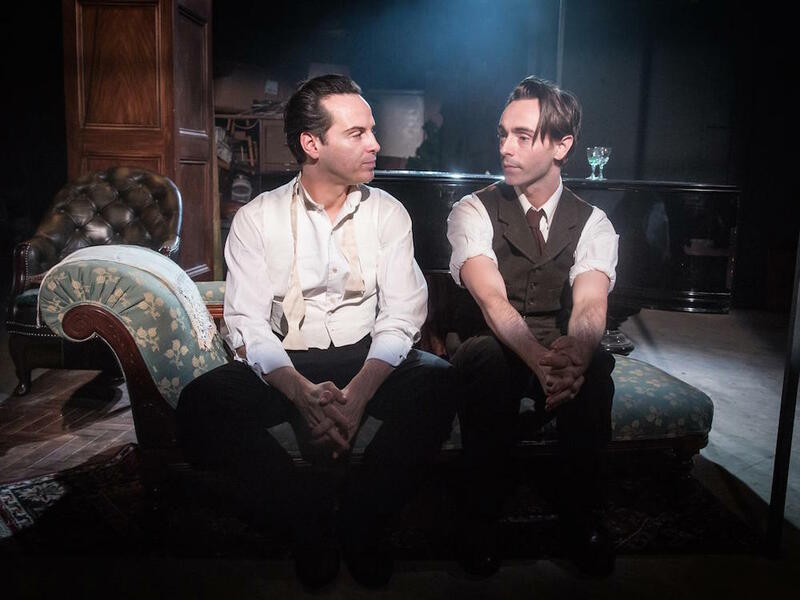 Langley lives with his brother Homer Collyer (David Dawson), who looks to be the more rational of the two and as the story progresses, it is revealed that the former lawyer and now manager of Lang's musical career is the one keeping their financial situation in check. The next scene opens with an exasperated Homer scolding Langley for cancelling yet another performance and here we begin to see that Langley's mental state is almost like that of a child's. He does what he fancies, whenever he wants and his attention span is even shorter than mine. Homer calculates that at this rate the brothers will fall into bankruptcy in the near future so he cooks up a plan to marry Langley off to the besotted Milly, who is conveniently a wealthy heiress. Unfortunately things don't go quite accordingly to plan due to a volatile Langley who doesn't return Milly's feelings and only hangs around her because to him she's 'so ordinary it's refreshing'. Alas as you can very much imagine, the downward spiral begins here. 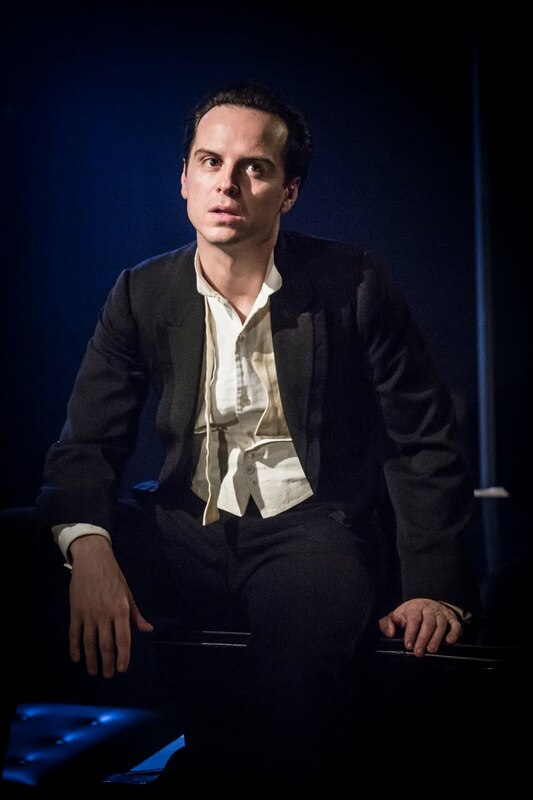 As I previously mentioned, 2014's Birdland already proved to me that Andrew Scott is a brilliant stage actor. The role of Langley is another far cry to anything I've seen him play, though perhaps there are elements of Moriarty's cheek and playfulness that can be seen in him. Eyes wide, an innocence radiates from him that is impossible to condemn though I often feel sorry for Homer whom it falls upon to deal with his carelessness and erratic behaviour. However angry with his brother Homer may be in an instant, his nature to protect and look after him always overcomes everything else and I feel this is ultimately a story about fraternal love. Now can we please talk about David Dawson? 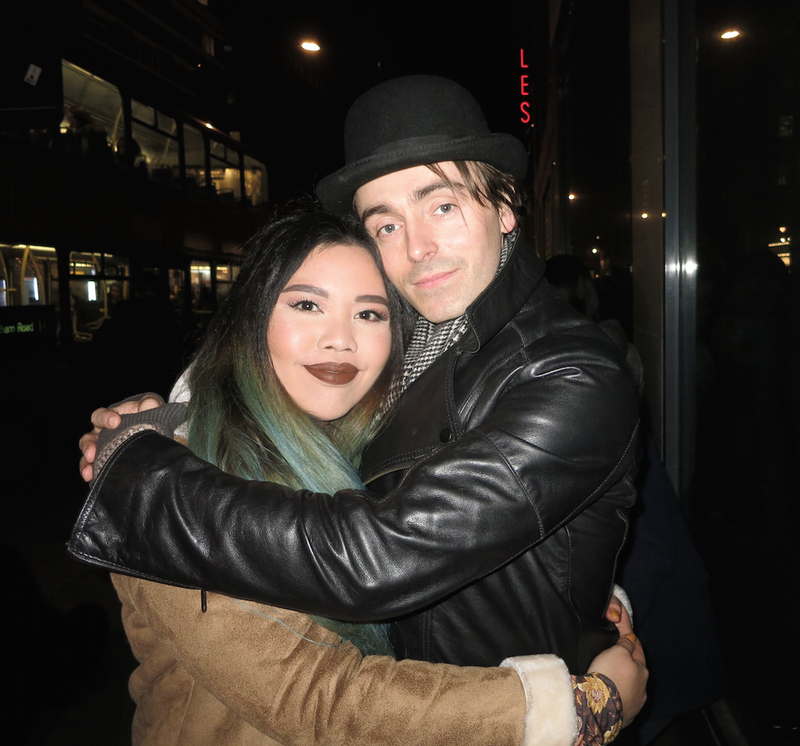 I'm gonna talk about David Dawson because that man is an absolute revelation and I didn't expect him to command my undivided attention throughout the entirety of the play, I was thoroughly fixated. Personally I thought it was his heartbreaking performance that made The Dazzle so beautiful. As I sat in the theatre watching him, I recalled that I had seen him before in another play called The Duchess of Malfi (shamefully I had no idea who he was back then) and as soon as I returned home I re-read my review on it and sure enough I wrote that 'his was the standout performance' and now I'm pretty much just reiterating the very same thing. I felt like I was with Homer every moment of the story, being torn between two opposing things that he so desires. Homer's intense drive towards his own dreams knocked the breath out of me yet there were times when such a palpable sense of resignation on his behalf hung so strongly in the air and both of our eyes would well up but the only difference was that Homer would smile through his tears for the benefit of his brother. 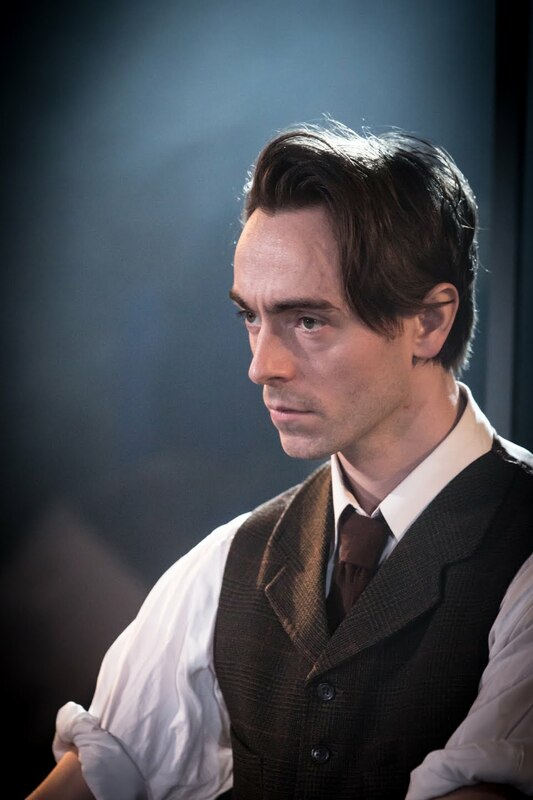 So yes dear reader, my heart has been thoroughly crushed by David Dawson's performance. I don't hesitate to go as far as saying that this is the best acting I've ever witnessed in my years of going to the theatre. 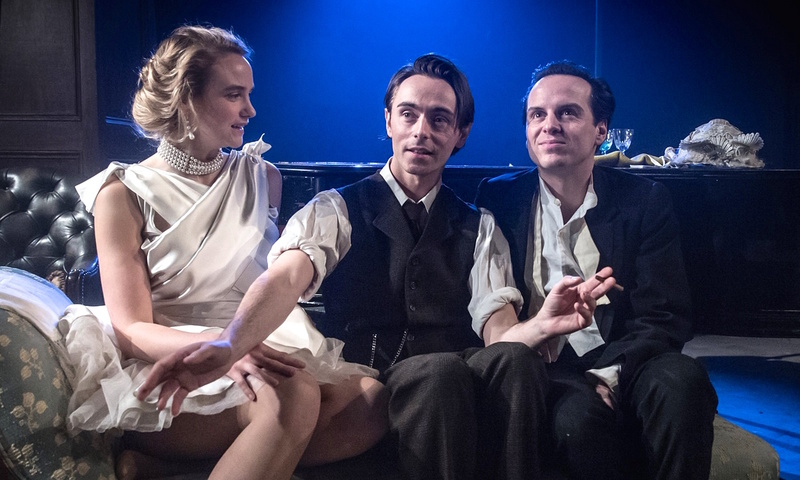 Combined with Andrew Scott and Joanna Vanderham, who is a breath of fresh air as Milly and gave me some serious Carey Mulligan vibes, this powerhouse of a trio serve up a chilling and poignant masterpiece. I thought I'd also add that I was doing some background research whilst I was typing this and I didn't realise that The Dazzle was based on real life events and that the reclusive Collyer brothers actually existed... how fascinating but also very sad. I feel ridiculously blessed to have had the chance to experience this play and now my future theatre escapades will have to face up to this production... how will anything ever top The Dazzle? The Dazzle is at Found 111 theatre, London, until the 30th of January 2016. Book tickets here. I would love to see this, but have a feeling I won't get to see it before the end of the run, which is a shame! But if David does any future plays, I will make sure that I get along to see him in it. Oh wow! I wish I could see this! But you describe everything so well that it feels like I'm almost there. I will definitely put this on my list of things to check out if I ever get the opportunity. Im amazed too that this play actually based on a real life event!